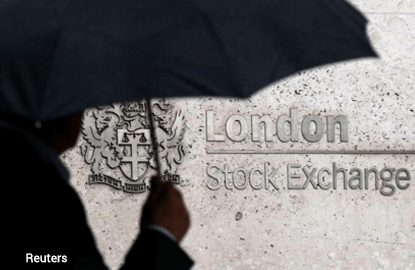 LONDON (March 3): The London Stock Exchange Group said on Friday it was continuing to work hard to win approval for its planned merger with Deutsche Boerse, a 29 billion euro (US$31 billion) deal now widely seen as doomed. The LSE said on Sunday it would not meet a new condition laid down by the European Union's competition officials for approving the merger with Deutsche Boerse, effectively pulling the plug on the deal. "The Group continues to work hard on its proposed merger with Deutsche Boerse," the London exchange said in a statement accompanying its 2016 results on Friday. The EU is due to rule on the merger by April 3. Meanwhile, the LSE said group income for last year rose 17% to 1.66 billion pounds, with revenue up 14% to 1.5 billion pounds. Revenue was forecast at 1.56 billion pounds, according to Thomson Reuters I/B/E/S, with total income forecast at 1.611 billion pounds. LSE Chief Executive Xavier Rolet said each business area delivered growth and that the group remained well positioned across all areas. The exchange has refused to sell its fixed income trading platform MTS to satisfy EU competition officials. Pan-European exchange Euronext, which would likely have been a potential buyer of MTS, announced on Friday a US$10 million strategic investment in fixed income trading technology provider Algomi, with plans to open a trading system in North America.